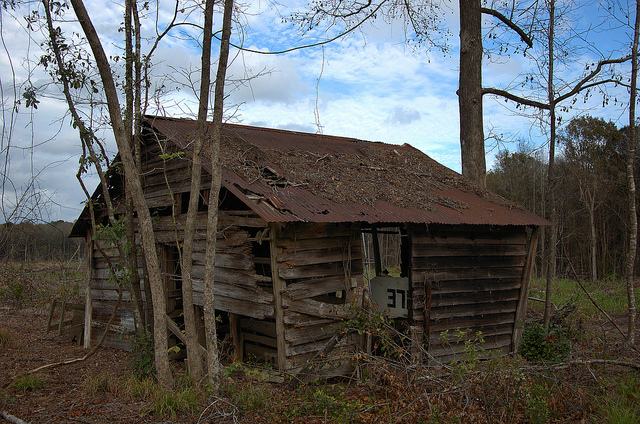 The barn featured in these two images is located on the property of Brenda McIntosh White Rogers and represents an atypical scene in Coastal Georgia. 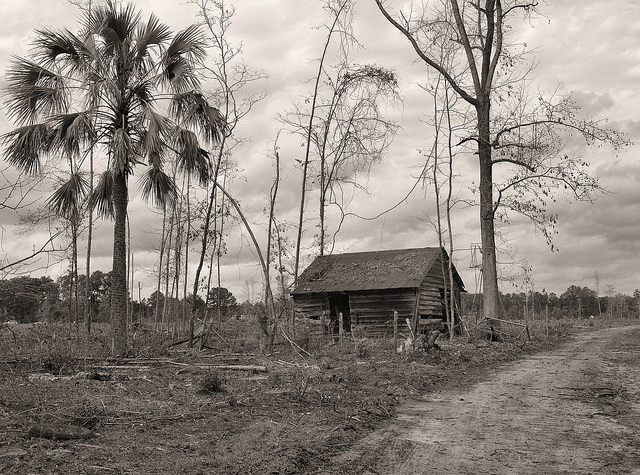 The land was held by early McIntosh settlers and is described as Straw Lachlan in the last will and testament of one Lachlan B. McIntosh. Straw Lachlan was originally a 750-acre tract “…near Darien Road, a distance from South Newport Bridge…” The barn was part of Brenda’s father’s farm. She notes that in more recent years the property was known as White Swamp, for the large number of White Oaks (Quercus alba) thereon. The land today is bordered to the east by U. S. Highway 17 and to the west by Interstate 95, which follows the line of pine trees in the background of the above photograph.